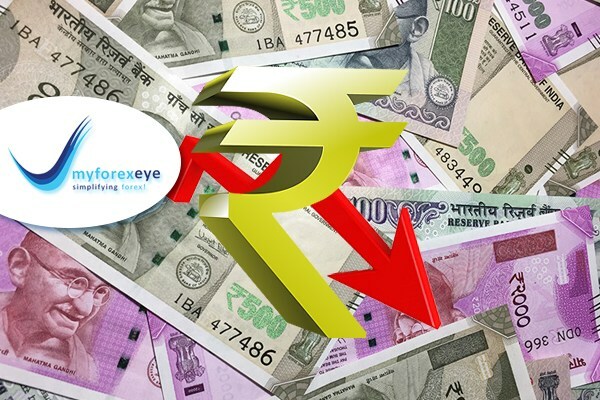 The Indian rupee stayed lower against the dollar in thin afternoon trade, tracking losses in other regional currencies as weak Chinese economic data brought worries over economic growth slowdown to center stage. However, greenback sales by exporters capped losses in the local unit. The rupee changed hands at 71.79 to a dollar, against 71.68 at close yesterday. The currency opened lower at 71.7850, and has remained in a 12-paisa band so far. Indian shares erased early losses, even as Asian equities were lower as weak Chinese data raised fresh worries of a slowdown in the world's second-biggest economy. The broader NSE index was 0.05% higher at 10,797.40, while the benchmark BSE index was up 0.09% at 35,962.26. Asian markets finished sharply lower on Thursday with shares in Japan leading the region. The Nikkei 225 is down 2.02% while Hong Kong's Hang Seng is off 1.69% and China's Shanghai Composite is lower by 1.53%. European markets are also lower today. The DAX was down 1.05% while the FTSE 100 lost 0.87%. The CAC 40 was down 0.87% while IBEX35 lost 0.67%. The Benchmark Brent crude oil contract was trading 0.8% lower at $60.96 per barrel. The contract gained 2.2% overnight on anticipation of tightening of global supply after data showed U.S. inventories at Cushing, Oklahoma fell by about 822,000 barrels in week ended Dec. 11. The Organization of the Petroleum Exporting Countries and other producers such as Russia had recently agreed to cut oil production by 1.2 million barrels per day from 2019. The dollar index was last trading 0.2% higher, while on-shore yuan shed 0.2%. The investors turn focus on Federal Reserve’s monetary policy meet on Dec. 18-Dec. 19. The U.S. central bank is widely expected to hike rates for the fourth time this year before scaling back their forecasts for next year’s rate hikes.